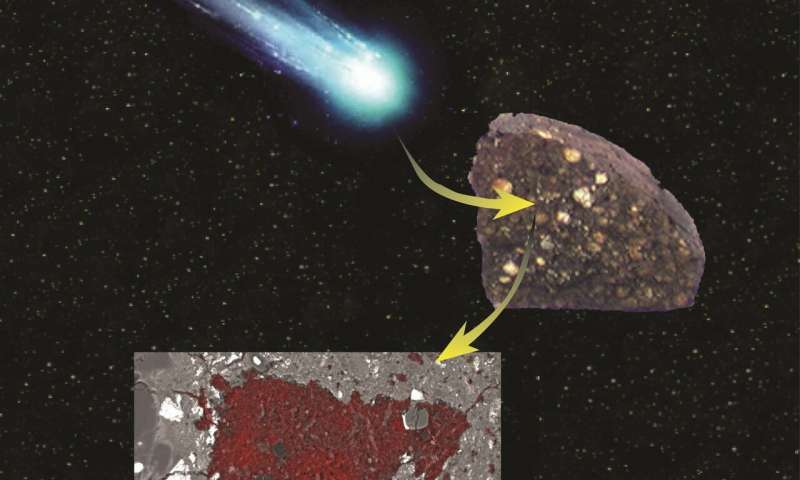 An illustration showing how a sliver of cometary building block material was swallowed by an asteroid and preserved inside a meteorite, where it was discovered by a Carnegie-led team of scientists. Credit: Larry Nittler and NASA. 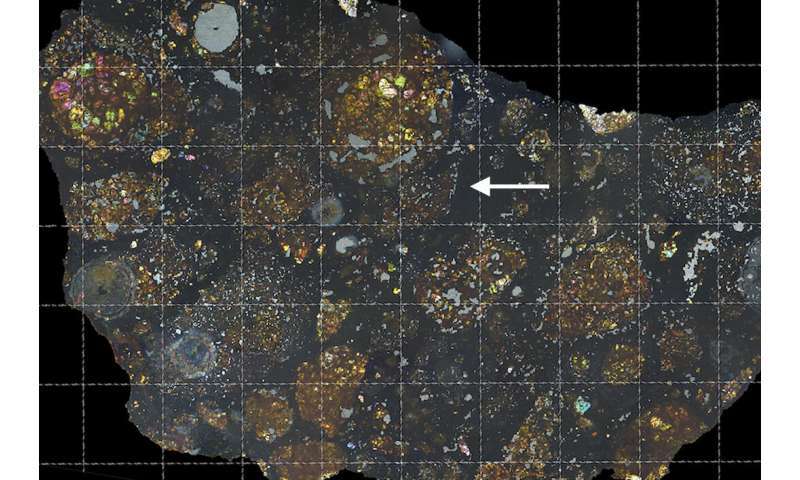 By undertaking sophisticated chemical and isotopic analysis of the material, Nittler and his colleagues—who besides Davidson include Carnegie's Conel Alexander as well as Rhonda Stroud and Bradley De Gregorio of the U.S. 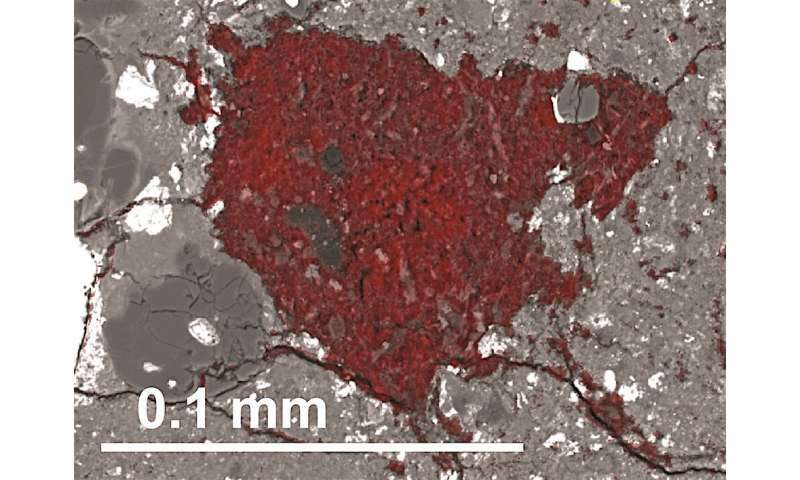 Naval Research Laboratory, and Josep Trigo-Rodríguez, Carles Moyano-Cambero, and Safoura Tanbakouei of the Institute of Space Sciences in Barcelona, Catalonia—were able to show that the encased material likely originated in the icy outer solar system along with objects from the Kuiper Belt, where many comets originate.